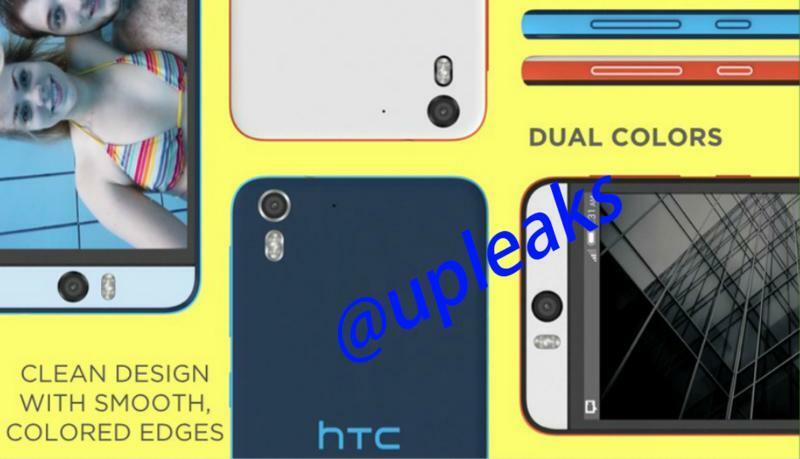 For the past few week’s we’ve been hearing non-stop rumors about an upcoming HTC One (M8) variant called the M8 EYE that promises to replace the phone’s 4-Ultrapixel camera with a 13-megapixel shooter. Now it looks like the company could be planning to release more than one EYE device this year after reports of a Desire Eye leaked out this morning. Today’s news comes from Twitter tipster @upleaks, who claims HTC is also planning to update is plastic Desire lineup with a selfie-focused smartphone. The device will apparently come equipped with two 13-megapixel cameras, one on the front and another on the back, along with a Snapdragon 801 processor, a 5.2-inch 1080p display, 2GB of RAM, 32GB of storage and a removable 2400mAh battery. The Desire Eye may also be water resistant with an IPX7 rating. There’s no word on when the Desire Eye will be announced, but the company is holding a big event next week in New York so it’s possible HTC could make it official in the very near future. @upleaks also claims the company is planning to upgrade a handful of its current smartphones with new “selfie-specialized functions,” though it sounds like that could simply mean improved camera software released alongside Android L later this year.